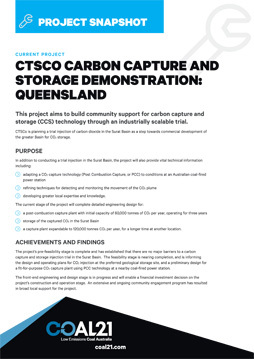 This project aims to build community support for carbon capture and storage (CCS) technology through an industrially scalable trial. CTSCo is planning a trial injection of carbon dioxide in the Surat Basin as a step towards commercial development of the greater Basin for CO2 storage. developing greater local expertise and knowledge. a capture plant expandable to 120,000 tonnes CO2 per year, for a longer time at another location. The project’s pre-feasibility stage is complete and has established that there are no major barriers to a carbon capture and storage injection trial in the Surat Basin. The feasibility stage is nearing completion, and is informing the design and operating plans for CO2 injection at the preferred geological storage site, and a preliminary design for a fit-for-purpose CO2 capture plant using PCC technology at a nearby coal-fired power station. The front-end engineering and design stage is in progress and will enable a financial investment decision on the project’s construction and operation stage. An extensive and ongoing community engagement program has resulted in broad local support for the project. The feasibility stage of the project commenced in November 2014. Engineering design is expected to be complete by June 2019. 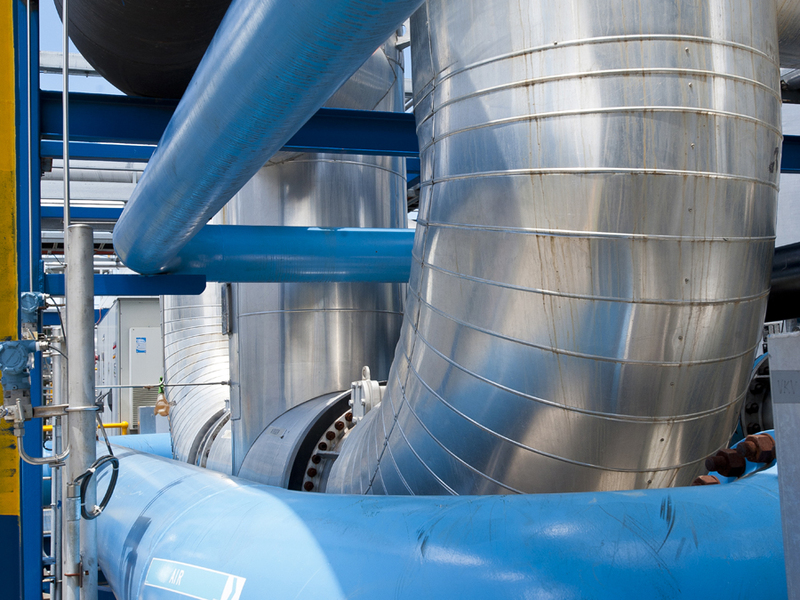 The full project, including construction and operation stage, will be the first demonstration in Australia of the full carbon capture and storage process (comprising capture, transport, and storage) applied to a coal-fired power station. The initial demonstration will be for between 60,000 and 120,000 tonnes CO2 per year for three years, stored in the identified site in the Surat Basin. There is the potential to expand to commercial scale (millions of tonnes CO2 per year) with geological storage in the southern Surat Basin, which is being modelled by the University of Queensland through the Queensland Carbon Storage Assessment project. The project’s next steps include the completion of the engineering design stage and the securing of environmental approvals and funding to allow the project to proceed to the construction and operation stage. COAL21 will make a financial contribution to the next stage of the project, subject to satisfactory completion of the current stage of the project and favourable assessment of a proposal.